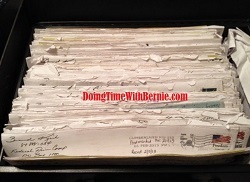 DoingTimeWithBernie.com: Felon Bernard Kerik can’t stop lying about the White House! Where’s Bernie Kerik? Felon Bernard Kerik can’t stop lying about the White House! Where’s Bernie Kerik? Felon Bernard Kerik landed in prison for, among other seven felonies, lying to the White House (USA v Bernard B. Kerik). Well, it seems felon on probation Bernie Kerik can’t stop lying…period. 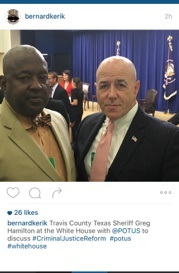 Here’s Felon Liar Bernie Kerik face-to-face "meeting with" a black man at the White House…but…wait….That’s not President Obama, is it? I know Bernie Kerik is a high school dropout with a "BS" degree from SUNY Empire State College but does this "meet with.." fit the definition? Ok, let's keep looking cuz lying to the world takes brass ones, doesn't it? 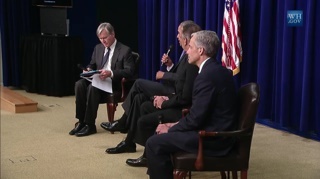 Here’s The White House Marshal Project Criminal Justice panel… Where’s Bernie Kerik? 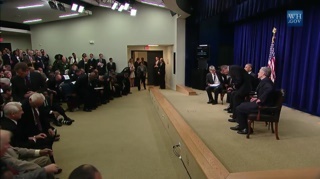 Here’s the audience… Where’s Bernie Kerik? 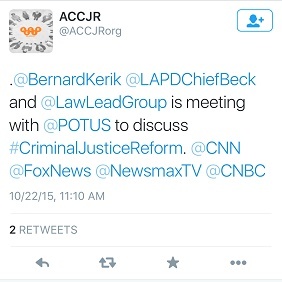 Poor felon liar on probation Bernie Kerik is neither a “leader” nor in “law enforcement” must crash a meeting at the White House then lie about it on twitter? A felon on probation who went to prison for lying to the White House, Bernie Kerik, was IN THE AUDIENCE at the meeting and that's a concern and statement about this White House right there! It’s sad. It’s creepy. It’s scary.